200 Brannan is a luxury high-rise building with 24 hour door personnel, concierge and gym that's just steps from The Embarcadero, Muni, Ferry Building and Ball Park. Have any comments or questions about 200 Brannan? Ask your question and/or share your thoughts about this Building. Hi I am really interested in this apartment please contact me ASAP. 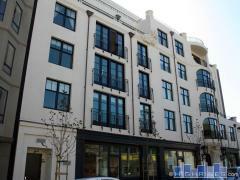 Xiao - The property is in contract but I know of other condos that may interest you. Could you tell me a little more about your search? Hi! Are there any units available for rent? Thx!